I’ve got the makings of a good little garden going here. The grow light seems to be working great. Watching stuff grow makes me happy! My radishes are going crazy. 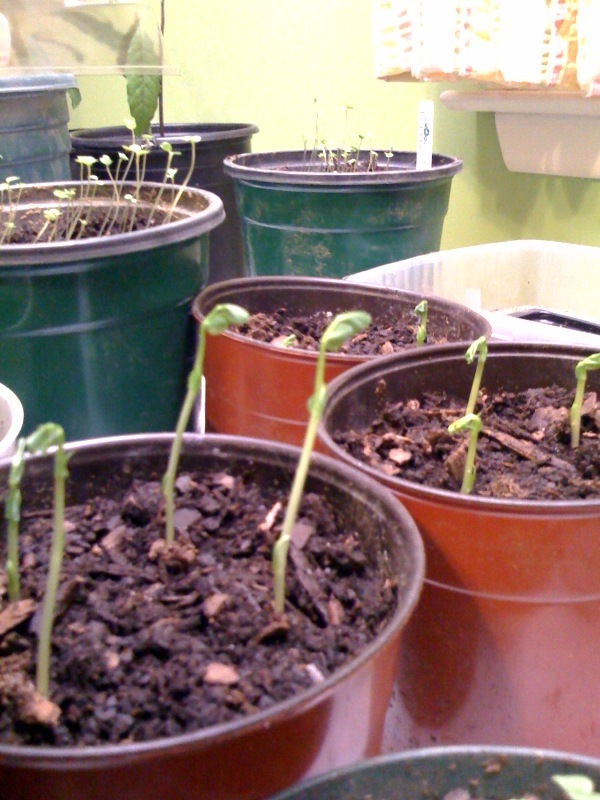 These peas grew about 2 inches today (I swear). 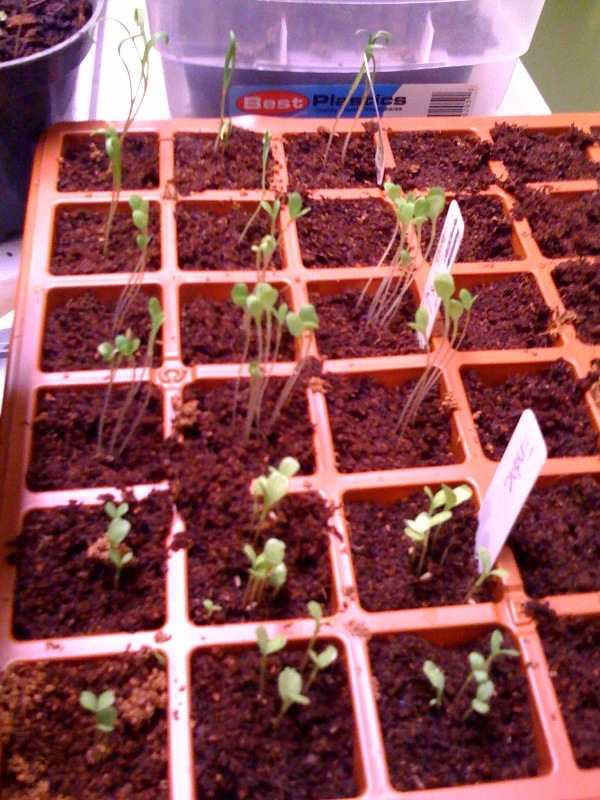 Spinach, lettuce, and endives all doing well. Entry filed under: My Garden. 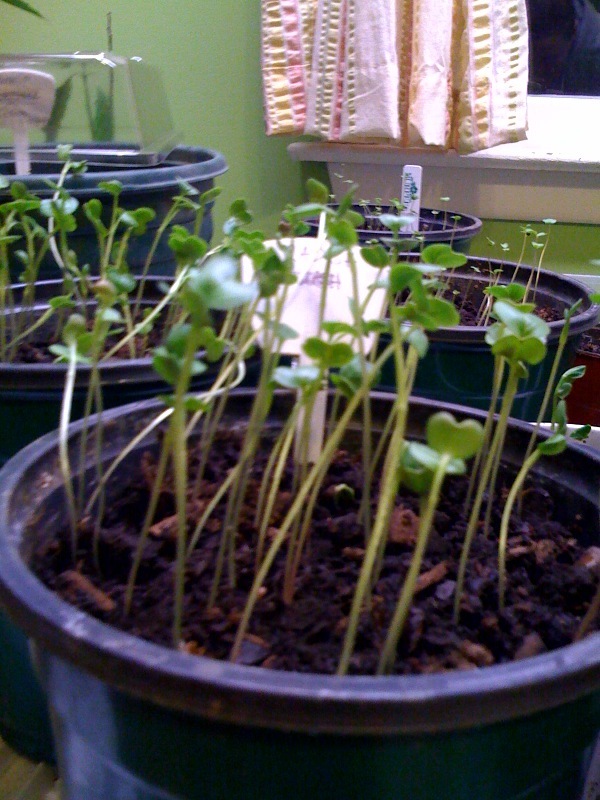 Tags: Connecticut Locavore, Indoor Gardening, Lettuce, Peas, Radish.